This church was opened in 1899, and continued to function until 1974, when it closed and was sold to become a Sikh Temple. The steeple was removed in 2003, to be replaced with a dome. I have very many happy memories of this church, where my mother, Marjorie Philp,LRAM, was Choir mistress from 1940 until the church was closed in the 1970s. (She was married to Clifford Whitehead, my father , but it was not a good marriage, so she reverted to her maiden name.) One of my most vivid memories was of travelling to the church in 1940, to take up the job of choir mistress, by bus. We then had to walk down, I think Woodland Road, just as the air raid sirens went and immediately the anti aircraft guns began to fire. This always produced shrapnel, re hot metal which rained down around us, until we took refuge in a nearby doorway until the barrage ceased! We walked on to the church, finding about 6 members of the choir in the church hall waiting for us to arrive! I could write a lot more about the church, but will spare you at the moment!! except to say that the church was never damaged in the war, nor the organ, although the one at the nearby Baptist church was, and for a time their congregation worshipped with us. Liz, I remember your mother at the Methodist Church. 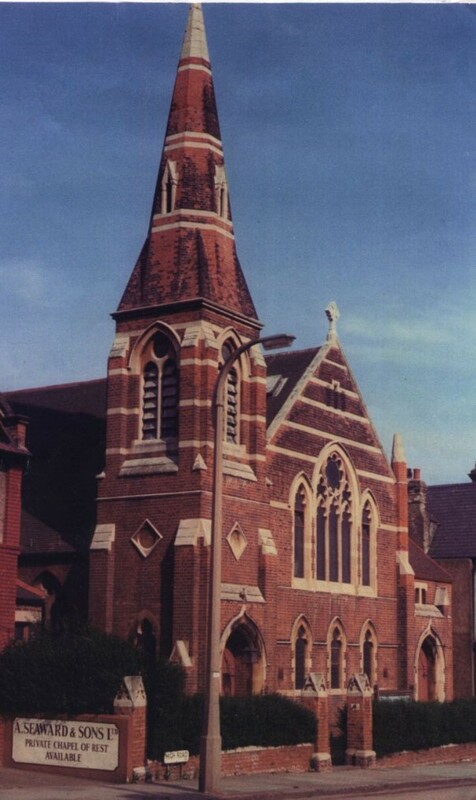 I was there in the Sunday School in the 1950s, as well Cubs and Scouts, and was a member of the church when it closed in 1974, when most of us transferred to Bowes Park (the newly built Trinity at Bowes church). I've written a history of New Southgate Methodist Church, but it would be interesting to hear what else you remember. Do you live locally? Good to hear from Colin Barratt. Where can I read his History of our church?I live in Springfield Avenue Muswell Hill, and my sons in my mum'S house in Pages Hill. She died in 2001, aged nearly 99.